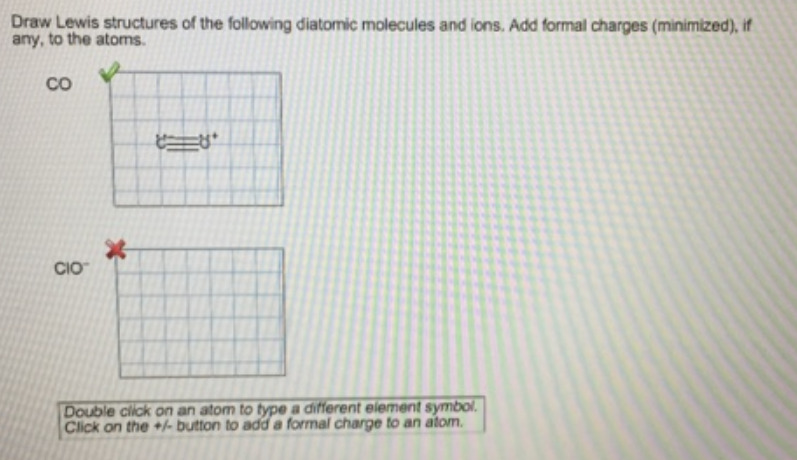 Solution: Draw Lewis structures of the following diatomic molecules and ions. Add formal charges (minimized), if any, to the atoms. Draw Lewis structures of the following diatomic molecules and ions. Add formal charges (minimized), if any, to the atoms.